In the animal care and development simulation “My Zoo Vet Practice 3D” for the Nintendo 3DS, exotic animals are examined and treated. Lions, polar bears, orang-utans, giraffes, tigers, chimpanzees, elephants, sea lions and penguins all live in a huge zoo and that’s where a dream job is waiting for the players: caring for these cute creatures as a zoo vet. Sick animals need help! So it’s a quick drive in the off-road 4x4 to get to the animal patients as soon as possible. But before the examination can begin, just as in real life, the predatory animals have to be gently anaesthetised first. In the 3D view examination that follows, the zoo vet is able to use their stethoscope, the thermometer and can palpate the animal’s body. Then of course they also have to apply the correct medicines and treatment methods to make the animal well again. This will mean disinfecting wounds, applying salves and bandages and extracting painful teeth, eventually seeing the perky animal back bounding around in its enclosure! The vet can treat more serious cases by admitting the animal into the zoo's purpose-built veterinary treatment centre. This is where their charges can be fed, brushed and petted and receive their daily medicines until they are completely fit and well again. Besides all of the clinical work, the zoo vet has a range of further tasks: they can equip the animal enclosures with some cool upgrades, such as a climbing tree and toys, buy in fresh food and medicines and learn lots of interesting facts about the animals and the lands from where they originate. Play Coins can also be collected and exchanged for in-game currency. Use of the Nintendo 3DS interactive features in administering medicines, using a stethoscope and palpating the animals, looking after injuries, applying salves, pulling painful teeth and taking temperatures. Driving in the off-road 4x4 using the map: the vehicle has to get to the stricken animals as fast as possible. 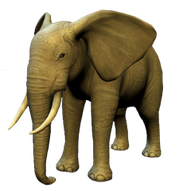 Communication of useful animal knowledge and information about their home territories, such as savannas, rainforests and the polar regions, from the in-game lexicon. Complementary management part: expansion of the treatment centre, purchase of food supplies and medicines. “My Zoo Vet Practice 3D” is available right now for the Nintendo 3DS at $ 4.99 (NOA) / € 29.99 (NOE) in the Nintendo eShop. To visit the virtual marketplace, players should look in ‘System Settings’ for an ‘Access Point’ in their locality and then use this to make an Internet connection. The game can then be easily downloaded from any location.